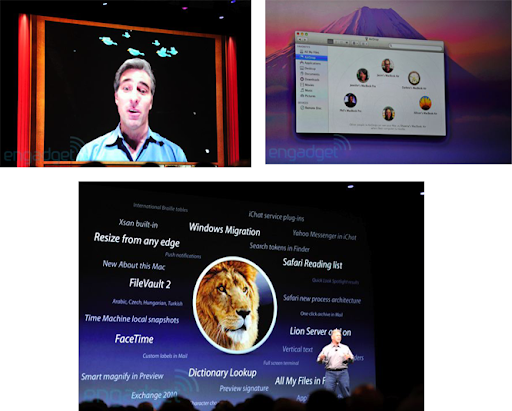 Mission Control replaces Exposé, Dashboard, Spaces: Exposé, Dashboard and Spaces were introduced in Mac OS X Panther, Tiger and Leopard, respectively. 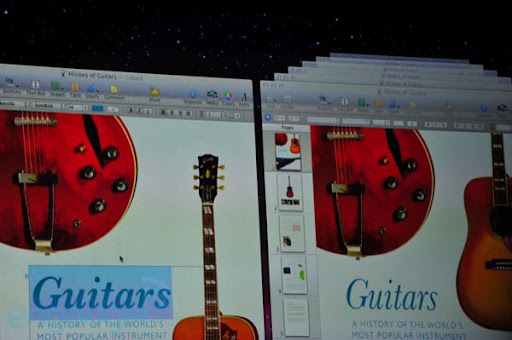 6 years later, Apple has felt the need to merge those into a single view: Mission Control, which allows users to visualize all their open windows, full screen applications, widgets and spaces. The new view can be brought up using a simple gesture, or a single keystroke, whichever you’re the most comfortable with. 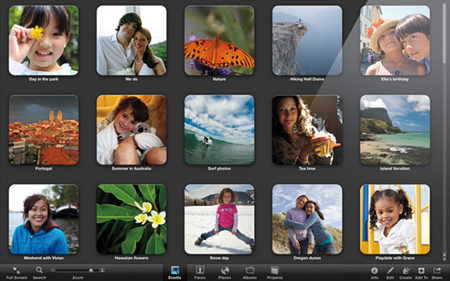 Launchpad: Launchpad gives users quick access to all the applications installed on the machine. Instead of having to navigate through the Applications folder, like we’ve always done, we’ll now simply need to bring up Launchpad. The new view also allows for better organization, like grouping applications into folders, like we’re already used to in iOS; and maybe more importantly, save the state of applications when they’re closed and opening them later. 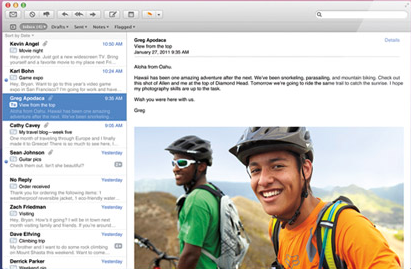 New Mail Application: After standing still for years, Mac OS X’s e-mail client is finally getting a rather significant upgrade. E-Mail folders are now displayed a cross the top, not on the left, better message previewing and "Conversations", allowing users to consolidate messages from the same contact into an easy view. Similarities with iOS (Full-Screen Apps and Multi-Touch Gestures): if you’re finding Lion at all similar to iOS, you wouldn’t be the only one. Apple itself is taking this release to "take lessons" from iOS and apply them to the Mac operating system. 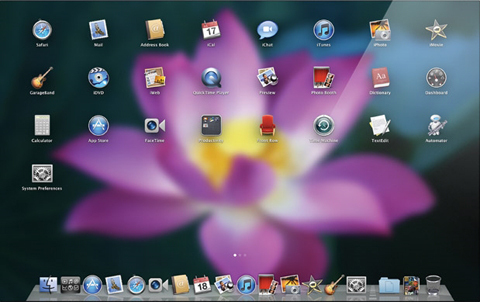 Launchpad, for example, is clearly the Mac version of Home Screen. That said, there are other features have have taken more subtle cues from the way iOS operates: for example, applications can now been launched in full screen. Built-in applications will include full-screen support, as well as third-party ones, if developers wish to. There’s also support for even more trackpad gestures, now built more tightly into the operating system than ever before: for example, switching between windows in Mission Control is just a swipe away. Enhanced App Store with In-App Purchases: the Mac App Store first came to Mac OS X earlier this year, allowing users to download Mac Apps from a convenient location, being now the #1 source for buying computer software, ahead of Best Buy and Walmart. In Lion, Apple is adding sandboxing to improve security, push notifications and in-app purchases. Versions: Versions extends Time Machine’s functionality into documents. That means that users can choose to "go back in time" and restore old versions of said documents from the application itself, like Pages, for example. Users can compare different versions and and even copy and pate between them, it’s that flexible! 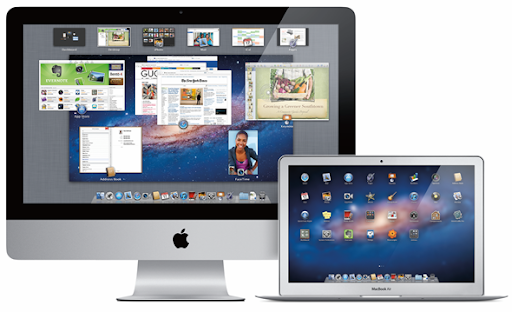 Mac OS X Lion will be available exclusively in downloadable form, from the Mac App Store, for $29.99, similar to Snow Leopard. That’s an incredible price drop from typical version of Mac OS X with significant new features, which were usually priced at $129.99. The operating system will be a 4GB download and will be available in July, as we mentioned above.